My stock tire is 150-80. The charts say 205-55 for softail. I have a belt guard. It doesn't look like it would fit. Can someone confirm tire size plz. What's a good easy to find tire? Thx for all ur help. 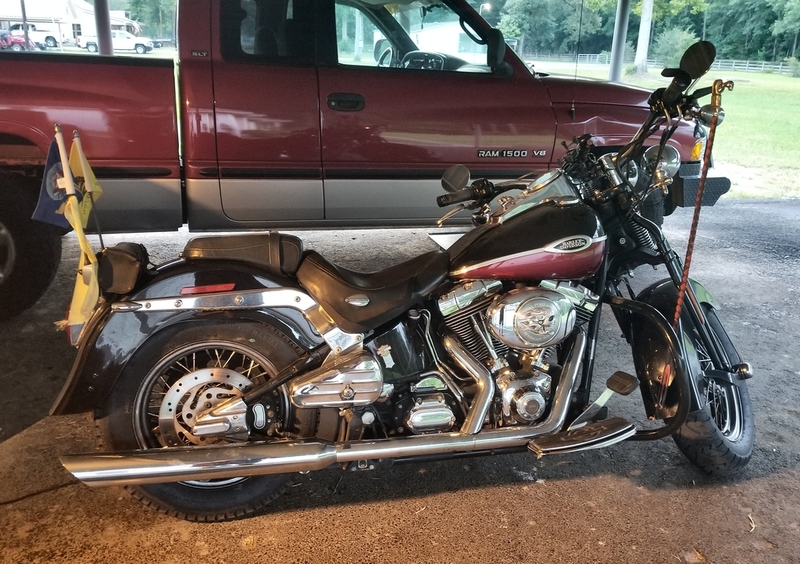 YES - I have an '05 Softail Springer Classic. I run an Excelsior Stahl Sport Radial 5.00R16 on the back. The first tire I tried was the taller 5.50R16, and it was a bit too tall. Some minor rubbing. Also, I had to change wheels halfway through the life of that tire due to loose spokes which wore out the hub and shortened the life of the tire. Even with all that, I got 15,000 miles out of that tire! I believe I can get about 20,000 on this shorter 5.00R16 as long as the spokes don't loosen up on me again. I normally got about 8,000-ish or less on a stock Dunflop D401. I run the tire at the max shown on the tire - 41 PSI. Traction is amazing. The feel is soft, and takes some getting used to. Feels like sitting on a balloon, LOL. 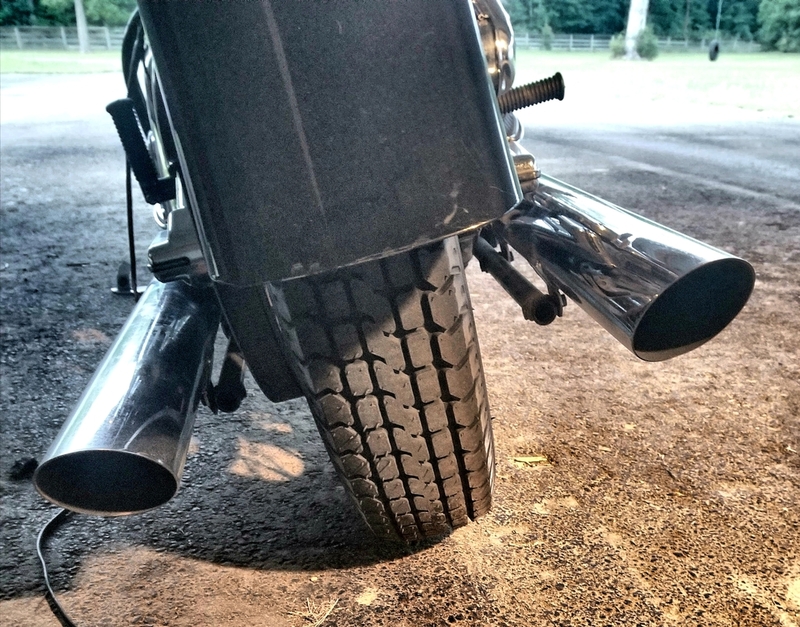 If I have any other issues with spokes, I'll probably look for a solid rear, like a used Fatboy wheel or something. I installed the first tire by hand (on both wheels), but I found a shop that would install this new wheel for me. They also installed Dyna Beads in the tube for me, which takes a while, LOL.